Spring has officially sprung. So it’s time to get your Spring cleaning on. 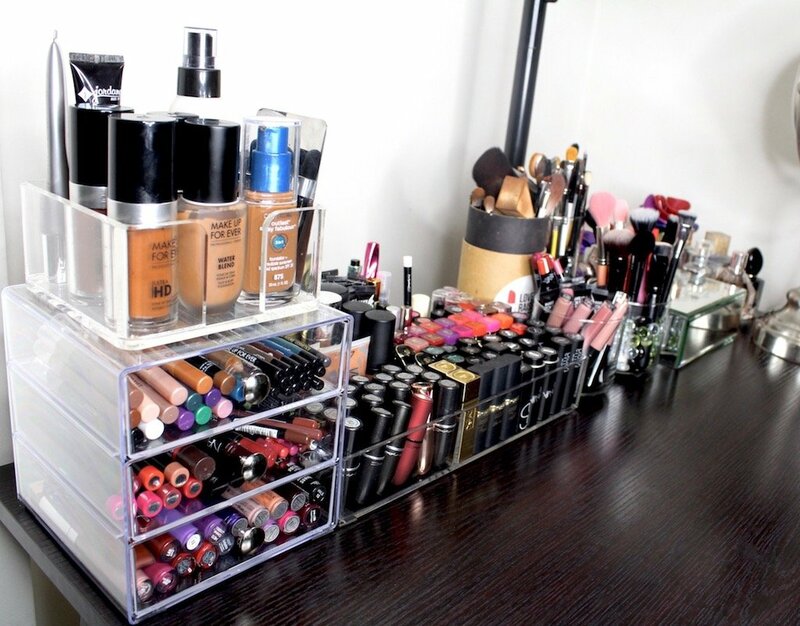 I’m always sharing tips with y’all on how to organize your makeup stash. 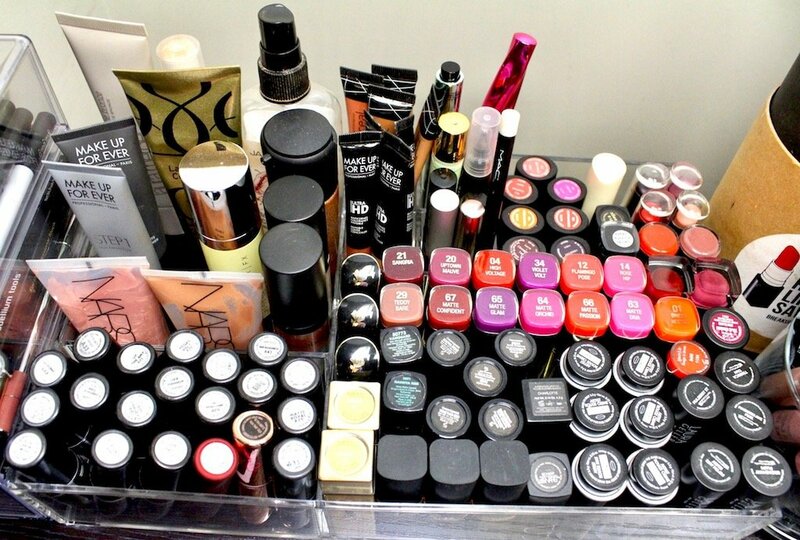 But today we must talk about throwing out that old makeup you’re collecting (hoarding). Now I know you might be giving me the side eye right now. Throw out your makeup after you’ve spent all them coins? Yes. Unfortunately, makeup has expiration dates and there comes a time when you must part ways. What better time then while you’re Spring cleaning. I’m guessing that after looking at this list you’ve come to the realization that you have a whole lot of expired makeup. You’re not alone. A lot of people (including myself) keep makeup past the expiration date. But old makeup can be harmful. Using old mascara and liquid eyeliner can cause eye infections like Conjunctivitis. All products can become contaminated with bacteria, yeast, fungus, mold etc. Especially things like lip gloss with doe foot wands. Just imagine… every time you swipe the wand across your lips and put it back in the tube, you’re also inserting dead skin, food particles etc. Totally gross. Oh and if you get cold sores, the virus can also be harbored. I’d highly suggest you immediately toss any lip products used during a cold sore outbreak. Also toss products right away if you notice a rancid smell or an extreme change in consistency or texture. I’m doing my best to better adhere to makeup expiry dates. I went through my stash the other day and threw out a ton of old makeup. With the exception of powder makeup such as eyeshadow, highlighters and blush. I don’t even want to admit how long I’ve had some of these products. But I just can’t let go. I do however spray them with sanitizing spray every few months. This is a good way to extend the shelf life. At least that’s what I tell myself to avoid tossing my beloveds lol. I have a hard time getting rid of lipstick as well. I’m happy to admit though that I threw away a good half of the lipsticks shown in these pics of my stash from a year ago. A lot of them were almost finished. Broken in the tube. Rancid. Or I never reached for them anyway. I also recycled my old MAC lipsticks. I’m still having a hard time letting go of my faves. But I’m working on it. So don’t forget to toss that old makeup while doing the rest of your Spring cleaning. See my post 5 Tips for Downsizing & Maintaining Your Makeup Collection from a Recovering Makeup Hoarder to help you avoid wasting your coins in the future.